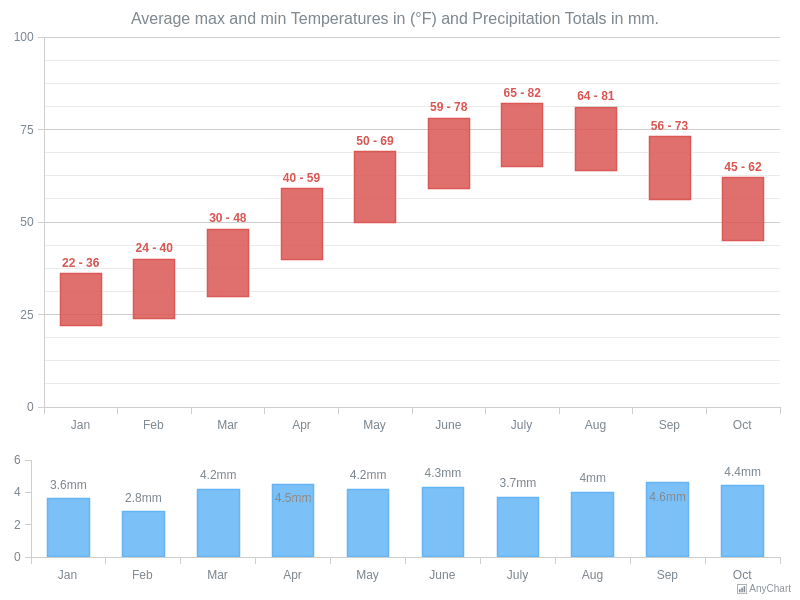 Climate DataA dashboard with two Range Column Charts demonstrating weather (a range of maximum and minimum temperatures and the precipitation totals) during a year. 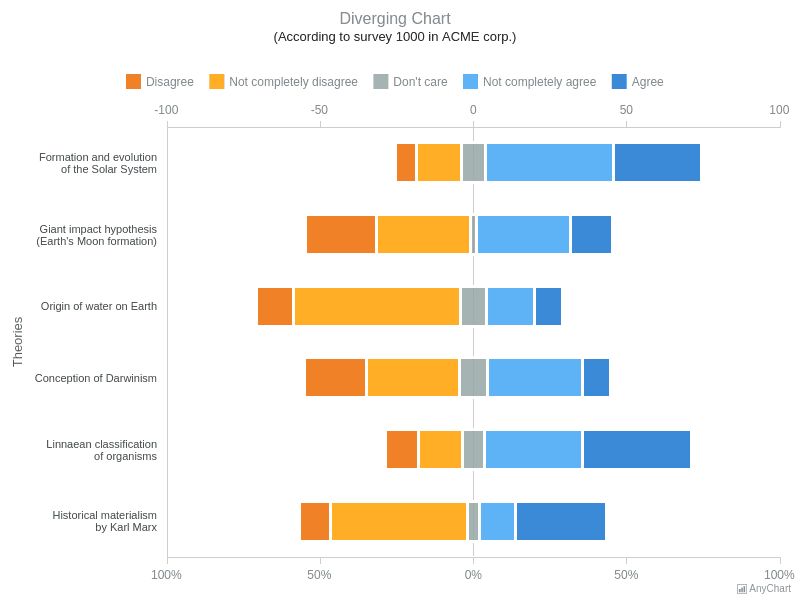 Diverging Bar ChartA range bar chart with 5 series describing the results of the questionnaire about six world theories held by ACME Corp. 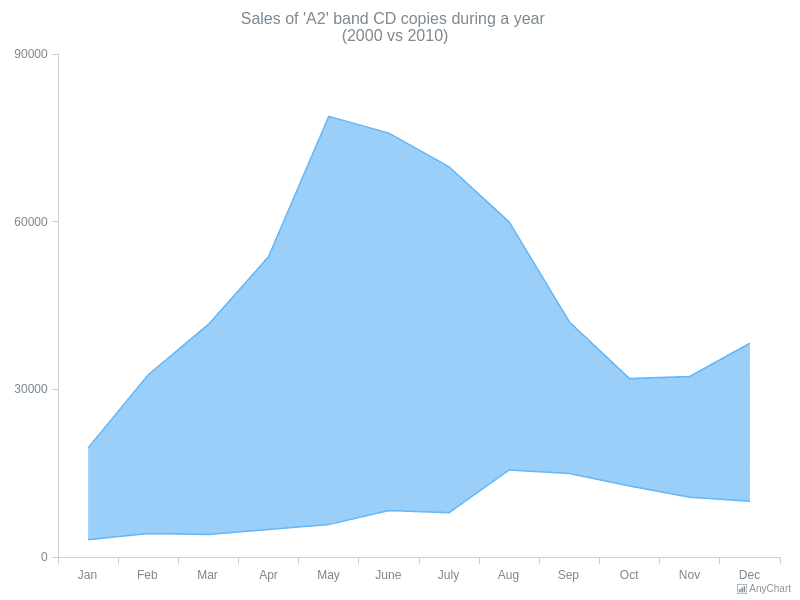 Range Area ChartA chart with an only Range Area series demonstrating the changes in the A2 band CD copies sales amount during a year. 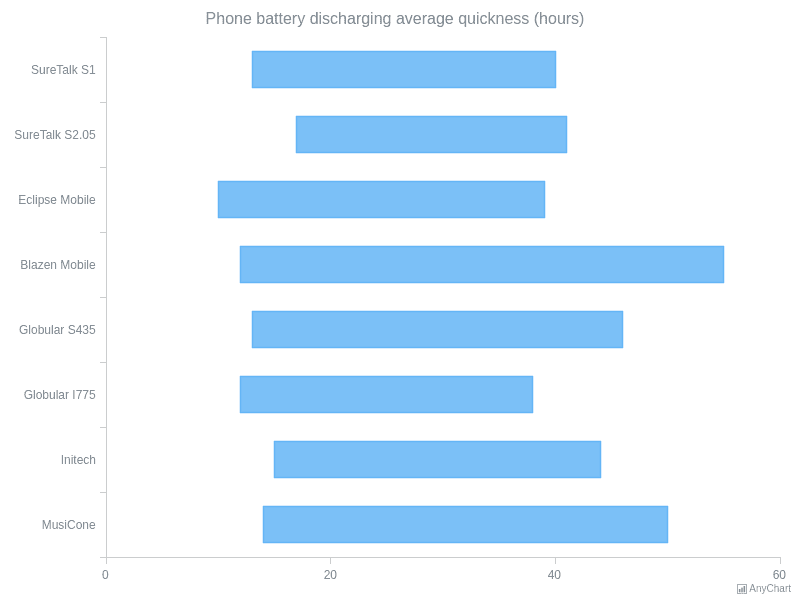 Range Bar ChartA Range Bar Chart demonstrating eight cell phone models and how fast their batteries discarge. 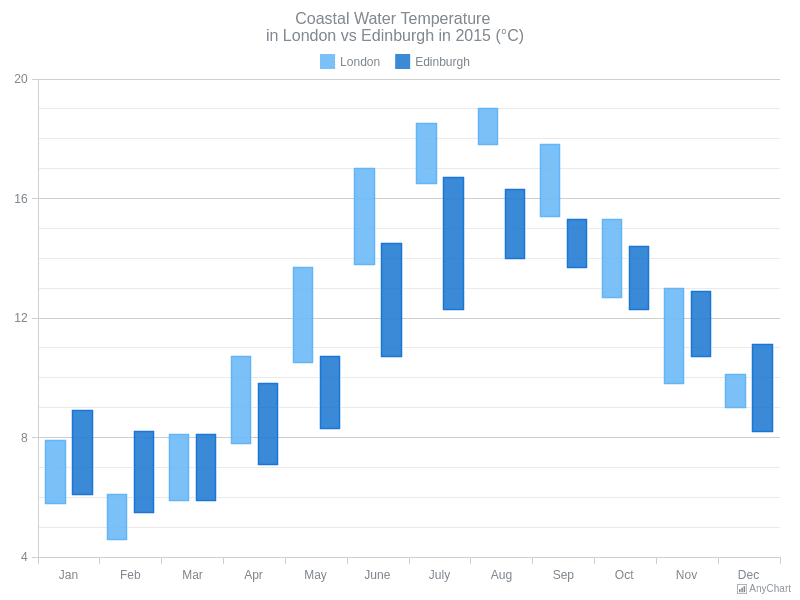 Range Column ChartA Column Chart of 2 series describing the ranges between the lowest and the highest temperatures in London and Edinburgh during a year. Range Spline-Area ChartThis Range Chart is a demonstration of making an Area series Range. 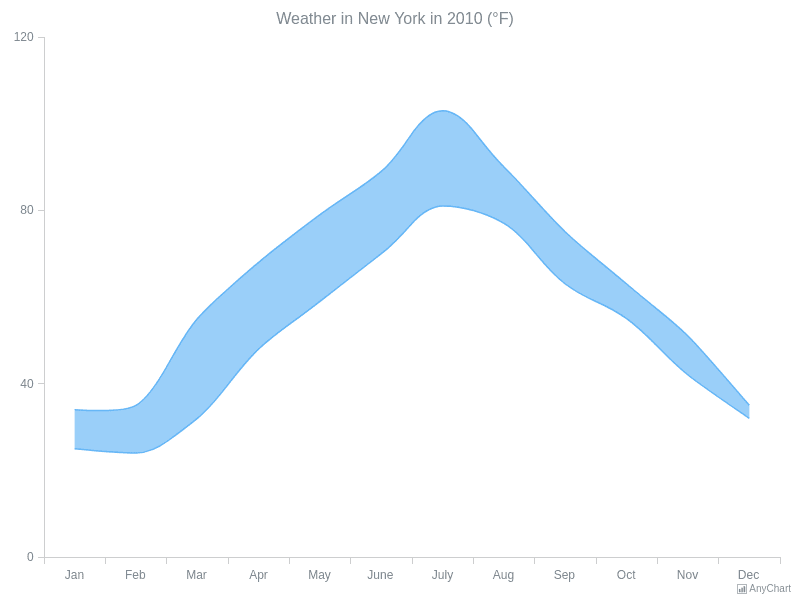 It describes weather in New York during 2010 (a range between the lowest and the highest monthly temperatures in \xb0F). 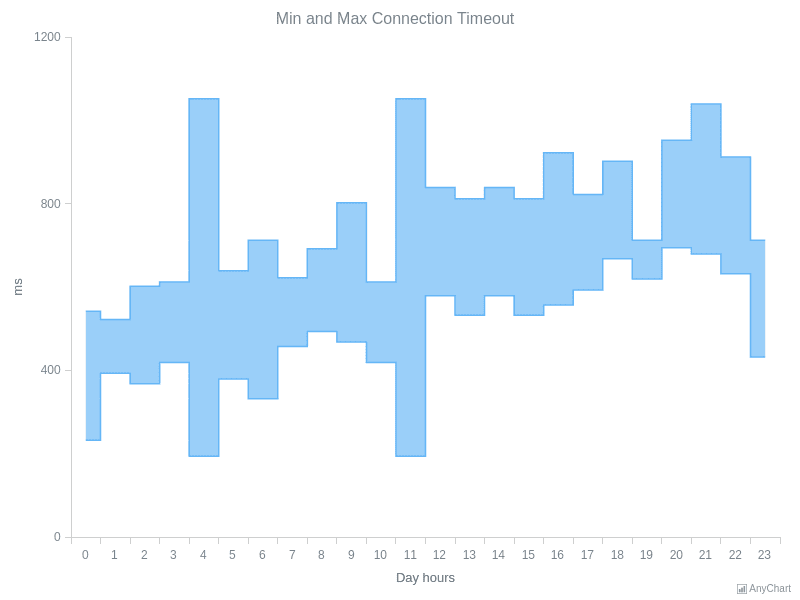 Range Step-Area ChartA Range Step-Area Chart with an only series describing connection timeouts during each hour of a day.